Despite all efforts by the Rebels to build up Fort Ticonderoga, the British had the upper hand. View from the Fort View Inn. Photo by Gretel Schueller. From the Fort View Inn, Fort Ticonderoga is just visible on the left point. Photo by Gretel Schueller. View of Forts Ticonderoga and Independence from Mount Defiance by the Smithsonian Institute. Nearly a full year had passed since the Rebels at Fort Ticonderoga had gathered in mid-July 1776 to celebrate the cause for independence by renaming Rattlesnake Hill Mount Defiance and Vermont’s Sugar Hill Mount Independence. British Lieutenant William Digby was astonished by the industriousness of the Rebels, who had made such vast improvements within a year, but the weakness of the stronghold had been found. Having already received intelligence about the vulnerabilities of fort, Burgoyne dispatched his engineer Lieutenant Twiss to study the feasibility of hauling a cannon up Mount Defiance, the promontory to the southeast of Fort Ticonderoga that overlooks both the fort and Mount Independence. It was General Phillips that looked up Mount Defiance and said, “Where a goat can go, a man can go; and where a man can go, he can lug weapons.” A road to the top was quickly constructed and a team of oxen hauled a cannon to the summit. From that vantage point, the cannon could hit both fortifications. St. Clair was faced with a difficult decision. If he abandoned what the Rebels believed to be an invincible fortress, it would be a huge blow to the morale of the American cause and would certainly draw condemnation from Continental leaders, but he also had a responsibility to preserve the army. Following a conference with his staff, St. Clair made the decision to evacuate the fort on the night of July 4, 1777. In the darkness of evening, St. Clair began his retreat. He quietly loaded the ships with women, children, sick and wounded, along with tons of provisions to set sail south to Skenesborough (present-day Whitehall). The other soldiers were ordered to cross the bridge to Vermont and prepare for an extended march toward the New England colonies. Things were moving in an orderly fashion until disaster struck. Against all orders, French General Roche de Fermoy set fire to his quarters, lighting up the whole sky and revealing the Rebel flight. It was a stroke of luck that the Burgoyne was so slow to respond, which allowed the last Rebels to vacate the fort at 5 a.m. on July 5, 1777. For Burgoyne and the British, this was a great victory. Start track 13 after leaving La Chute Falls Park. Continue south on Route 22. Just before the Fort View Inn on your right is a small pull-off. Take a look across the street. 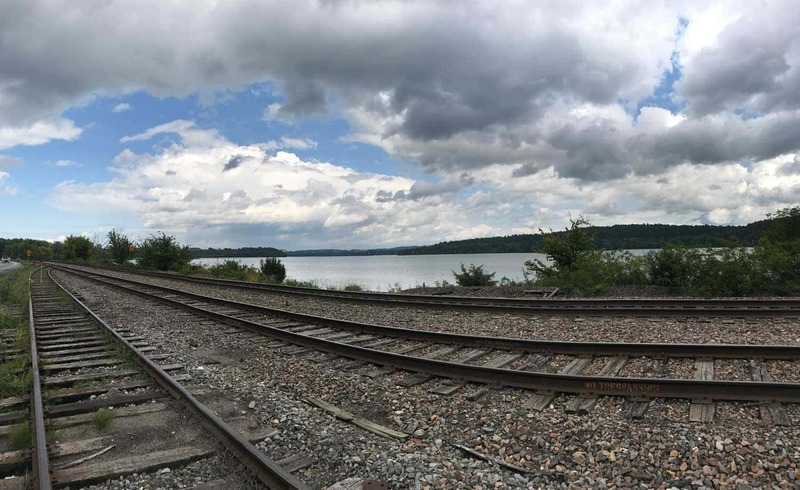 From here (325 NY-22, Ticonderoga) you get panoramic view of where all the action took place on the momentous night of July 4, 1777, at Fort Ticonderoga. Directly across the lake, you see Mount Independence in Vermont. To the north (left) is Fort Ticonderoga, and just northwest (behind you), looms Mount Defiance—the weakness the Rebels failed to appreciate. The narrow point between Fort Ticonderoga and Mount Independence was where the Rebels had built the bridge, as well as the log and iron barrier to prevent ships from passing through. After you’ve enjoyed the view, head over to Fort Ticonderoga to explore hands-on the history of the French and Indian War and the Revolutionary War. For more information on Fort Ticonderoga. You can also hike the trails at Mount Independence in Vermont or drive to the summit of Mount Defiance. You’re now halfway through the Turning Point Trail Tour. It’s recommend that you spend the night in Ticonderoga before continuing the second half on the tour. 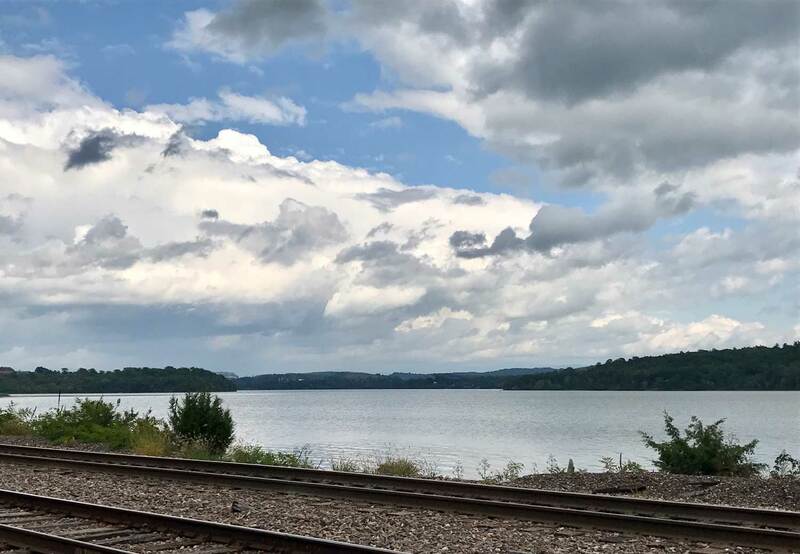 For places to stay in the Ticonderoga area, visit the lodging list provided by the Ticonderoga Chamber of Commerce.